After nine years of living in New England, I still have not gotten used to the amount of snow we periodically suffer through during the winter. And the fall. And sometimes the spring. I’m currently writing this post on a weekday afternoon in March, on yet another snow day. To cope with the darkness and frigid temperatures and the prodigious amounts of snow, my husband and I have taken up an exciting hobby...drinking alcohol to stay warm! 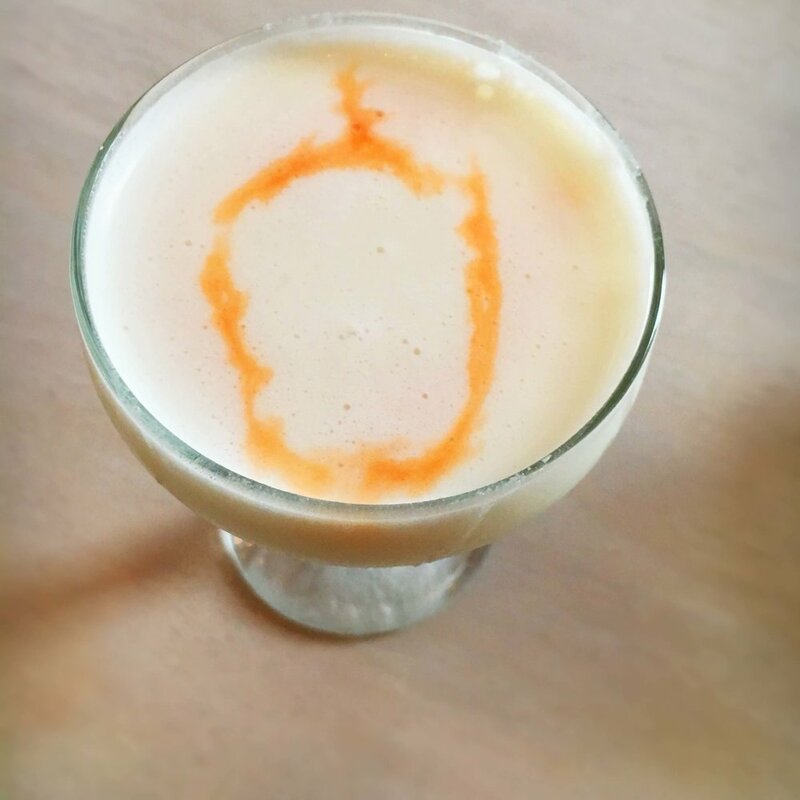 While I am the chef of our home, he is the carpenter, electrician, mason, handyman and cocktail scientist. I mean this in all seriousness...not only has he perfected the best margarita I’ve ever had but he literally built an addition onto our house AND built a deck AND redid our kitchen all in about 3 months. He’s amazing. And one liquor that he has delved into creating copious amounts of recipes for is gin. When it first became our weekend past time to visit distilleries and breweries, we both usually skipped over the gin. I like a good tonic and Tanqueray (*with extra lime) as much as the next person but I always felt that most gin was too dry and too junipery. After we actually began sampling small batch gin, our views changed and we became full blown gin-o-philes. Our last trip to London was filled with a shocking amount of gin bars and gin distilleries over the course of our three day long weekend. 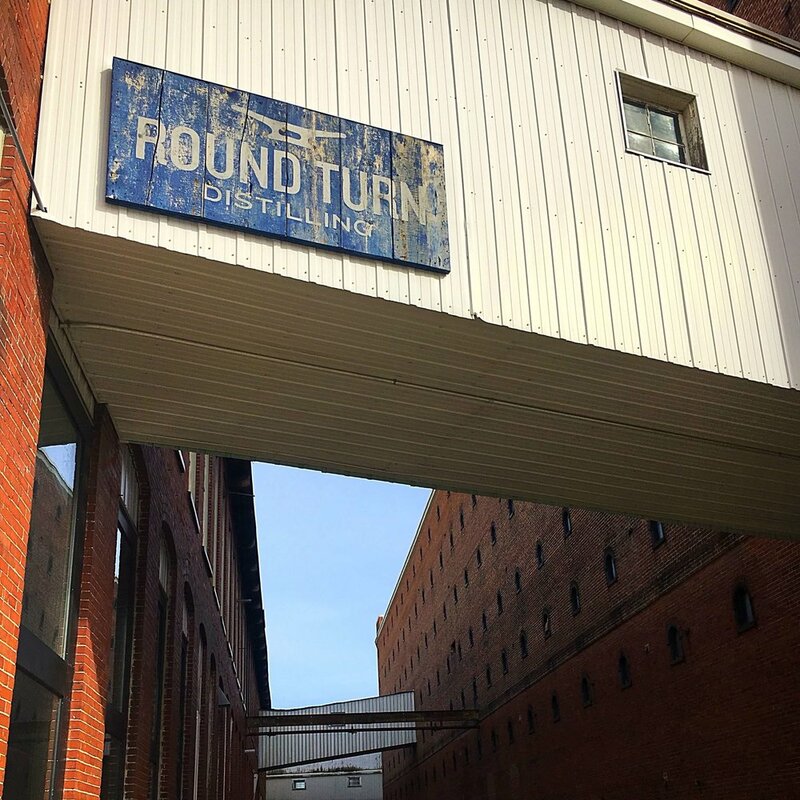 While our bar cart groans under the spirits we have gathered in our travels, one of our favorites is fortunately close to home and our next stop in our tour of the Pepperell Mill Campus in Biddeford: Round Turn Distilling. 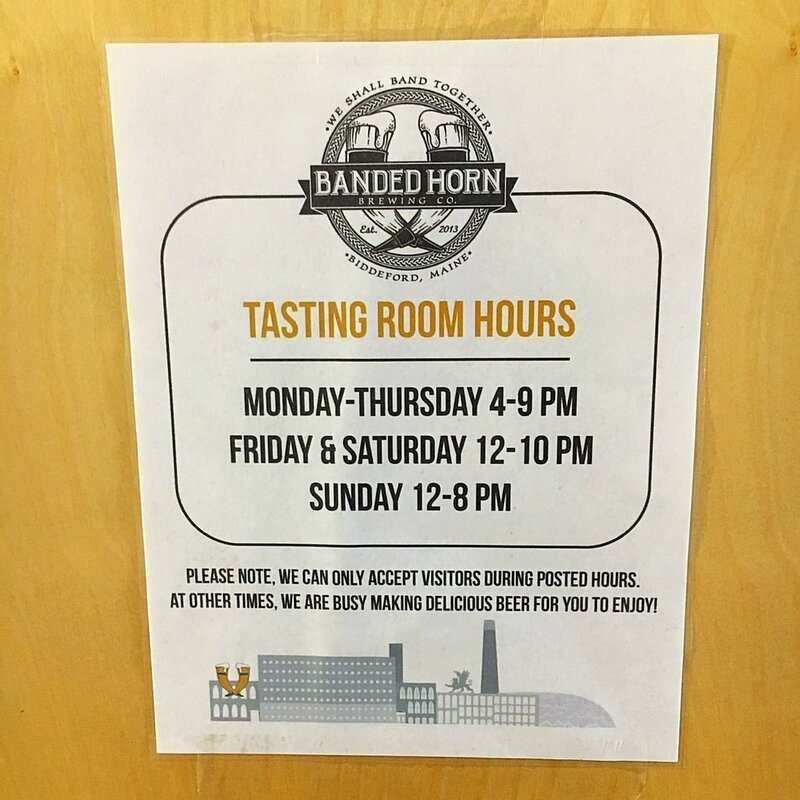 Located next door to Banded Horn Brewing Company, it might as well be on a different planet. The two places will give you entirely different experiences...in the best possible way. Where Banded Horn is dark and masculine, Round Turn is light, airy and cheerful. A few large tables and a small bar are illuminated by the giant windows of this fantastic 150 year old mill. Your usual assortment of shirts, accessories, bitters and tonics are available for purchase, but those are secondary. You are there for the Bimini Gin. Winner of a double gold medal in San Francisco in 2017 this botanically inspired gin is not overtly dry. It has an incredible balance of citrus flavors with hints of cardamom and coriander which make it perfect to enjoy on the rocks or as the ideal base for your favorite cocktail. While the gin is summer inspired to remind you of vacations and lazy days relaxing on the sand, it excels as a year round tipple. 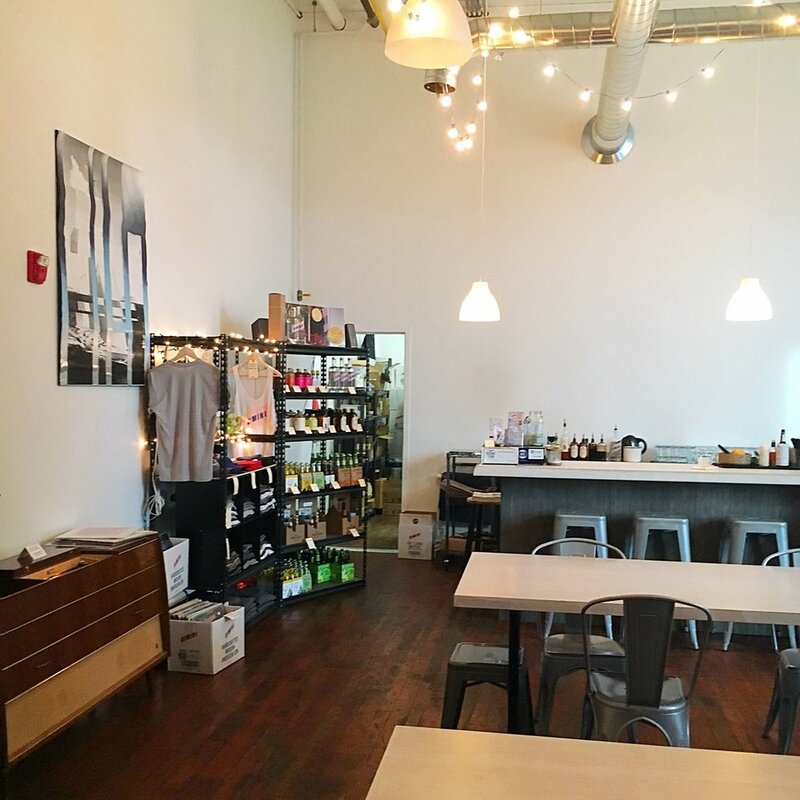 Round Turn offers free samples along with extensive seasonal and house cocktail lists. Additionally, many of their favorite recipes are available online. Gin and tonic flights are also offered, so you can discover just how versatile this gin truly is and sample an assortment of tonic mixers. The cocktails themselves are lovely, especially when served on the black and white penny tile bar. Recent favorites include the Spiced Maple Hot Toddy with maple, lemon and cardamom bitters. The flavors enhance the gin nicely and produce a wonderful, warm drink for snowy March (?!) days. Another winning winter cocktail is the Snowbird; gin, coconut, lime and bitters. A tropical getaway in glass. On the house menu, I adore the Red Right Return, created with gin, cranberry, passionfruit and bitters. In my opinion, passionfruit is a highly underutilized ingredient in the US and I’m always thrilled when I find it anywhere on a menu. The sharp sweetness of the passionfruit combined with the tart cranberries create a lushly spiced ruby red cocktail to be enjoyed year round. Round Turn encourages people to use their gin in place of white rum in recipes and as the year (slowly) warms up I intend on doing just that. 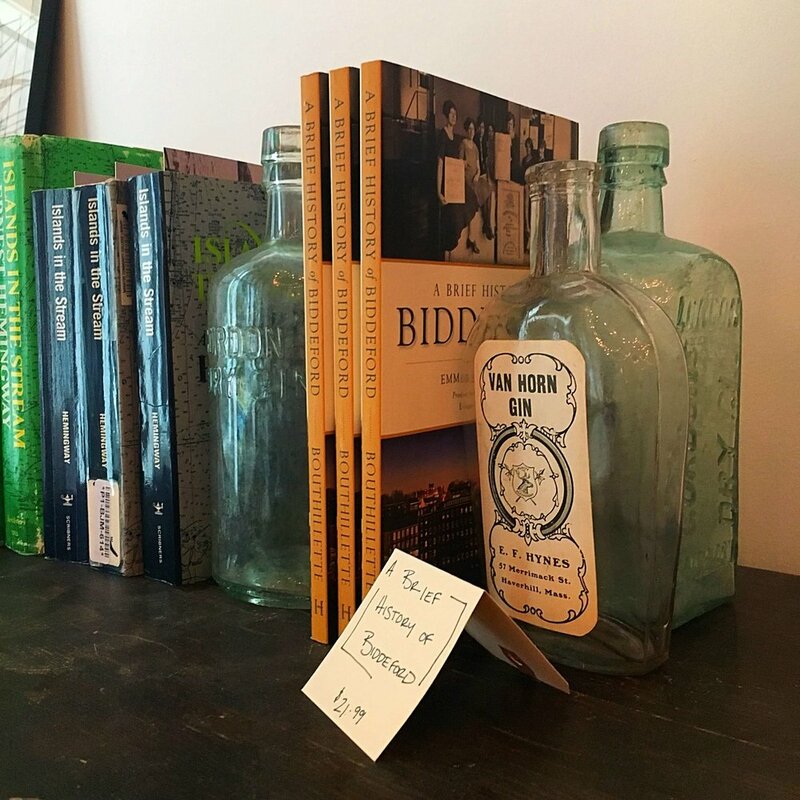 In the meantime, Round Turn Distillery is only a quick car ride away and the Bimini Gin can be found in stores throughout New England. Given that I sit here with 2 feet of fresh powdery snow on the ground, I think a stock up on gin is in order. Don’t fear, I have one more stop in Biddeford to share with you - another fantastic brewery. Coming soon!